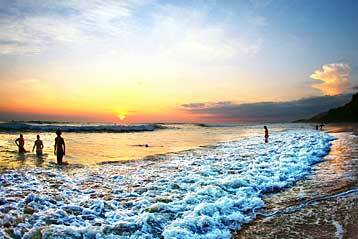 Surrounded by 12 acres of wildlife-rich tropical rainforest with panoramic ocean views. 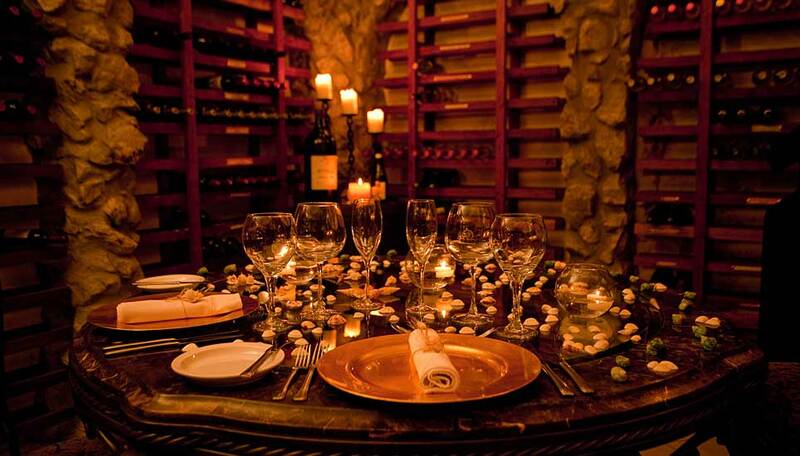 Parador Resort & Spa is open all year. 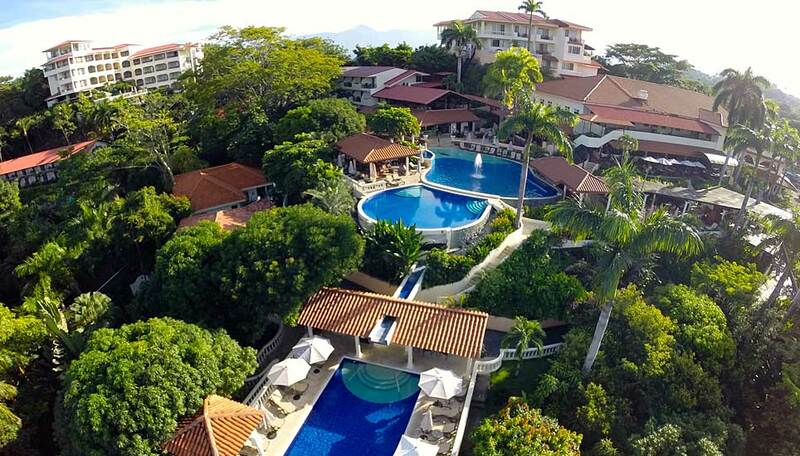 Parador Resort & Spa occupies the hillside close to Manuel Antonio National Park. The accommodation is spread over four separate buildings offering ocean, jungle or garden views plus all of the amenities today’s modern traveller has come to expect. At mealtimes you are spoilt for choice with 4 restaurants to choose from, offering a variety of different cuisines. Down time can be spent relaxing by one of the 3 swimming pools (one is specifically for families) or at one of the bars. If you prefer privacy then the rooms all have balconies, with varying views for you to enjoy, alternatively you could indulge in one of the pampering treatments down at the health spa, or opt for a gentle hike in the verdant rainforest surrounding the resort. 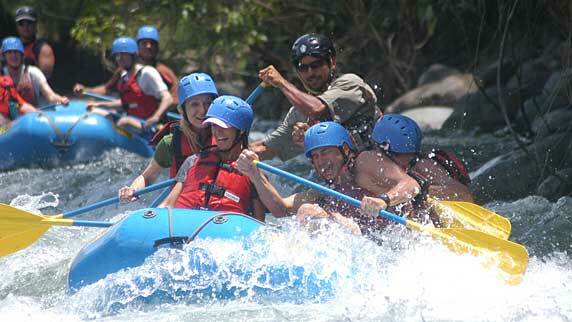 Why go to Parador Resort & Spa? 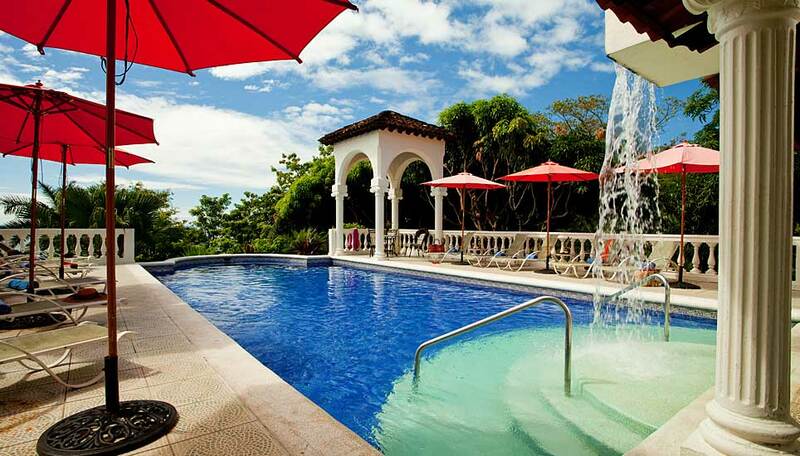 Parador Resort & Spa is the only full-service resort located in Manuel Antonio. The resort holds a number of prestigious awards not only for world-class service and amenities, but also for passionate commitment to both the environment and the community. The range of accommodation options go from the excellent to the absolutely amazing, and the location is second to none. 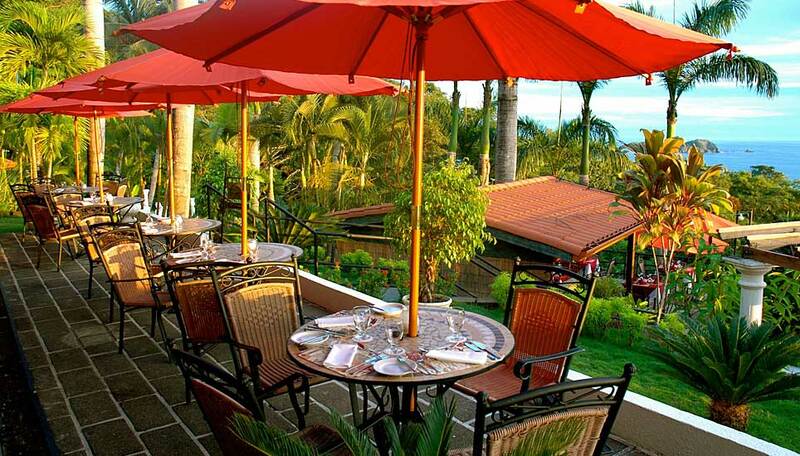 This is an oasis of calm with soaring views surrounded by lush rainforest, where you can spend your Costa Rica vacation blissfully isolated from the hustle and bustle of the main drag. The location of this resort is stunning, overlooking jungle down to the ocean, where monkeys (howler, white face capuchins, squirrel), sloths, toucans, geckos, iguanas and many species of birds will entertain and wow you all day long and that’s without leaving the resort. 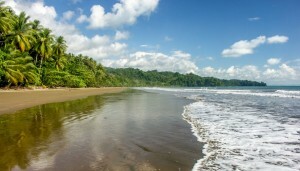 Being adjacent to the Manuel Antonio National Park makes this an ideal spot to stay when you are in the area, it is easy to explore all that nature has to offer. The park itself is famous for the concentration of wildlife, particularly monkeys and sloths that are found here and of course the colourful and varied species of birds – there will be plenty to tick off your list. Children under 6 receive free accommodation and breakfast. 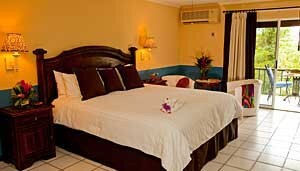 There is free WiFi in all rooms and also in throughout the resort. There are also computer stations for guests to use. Each room has a telephone. 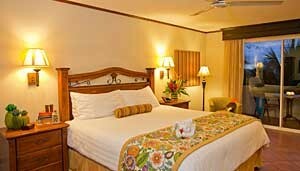 There are 129 rooms at the resort from standard garden rooms to the opulent Family Suite. Located just steps from the resort’s restaurants, spa and primary pool area, the 25 Garden rooms access the gardens directly from the terrace. They each have two queen size beds or one king size bed. These 20 rooms boast balconies that overlook the verdant expanse of rainforest. Connecting doors between every two rooms makes them a perfect choice for families. 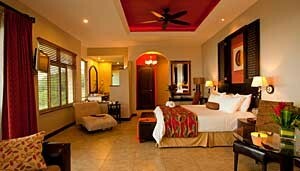 They include an en-suite bathroom with shower and two queen size beds or one king size bed. Conveniently located close to the resort’s restaurants, spa, gift shops and swimming pools, these rooms are slightly larger than the Garden Plus category and sit just below the premium building. 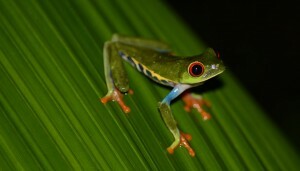 The 30 Tropical rooms are ideal for families sharing the same room and offer partial ocean and jungle or garden views. 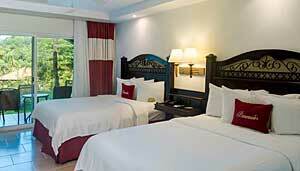 They have showers in the en-suite and two queen size beds or one king size bed. Built on a rock high atop the resort’s sprawling grounds, are 12 Premium rooms offering incredible 180-degree ocean and jungle vistas. 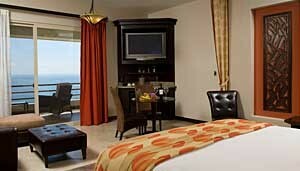 Premium rooms are accessible via interior and exterior stairs or a dramatic panoramic incline elevator. They include a shower with bathtub and two sinks, plus two queen size beds. Situated above the Premium accommodations, these nine beautifully appointed rooms offer balconies that open up to stellar views of the Pacific Ocean coastline. Premium Plus rooms are accessible via interior and exterior stairs or a dramatic, panoramic incline elevator. Each has a King-sized bed. Located in the Ocean Vista building, these 28 ocean-view one-bedroom suites feature every imaginable amenity including plasma TV, mini- bar, sofa-bed and a sumptuous bathroom with a full-size tub and separate shower. 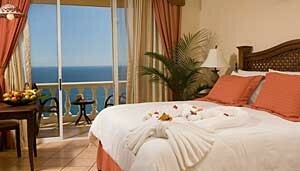 Each suite offers a king-size bed and an expansive balcony with a private Jacuzzi. These two extraordinary corner suites have all the commodities of the Ocean Vista building and offer a 260-degree ocean and jungle view, plus king-size beds and a larger balcony with a Jacuzzi affording even more privacy. Offering panoramic ocean and jungle views highlighted by large windows and an expansive balcony with private Jacuzzi, these two lavish master suites each feature a spacious master bedroom and living room, two plasma TVs and other luxury amenities. The master suites are accessible via a private staircase adjoining them and can be rented separately or together for families or groups. They offer king-size beds and a sofa-bed. Sprawling and luxurious, the Cristóbal Colón Presidential Suite spreads over a 172 square meters (1,851 square feet) and is truly one-of-a-kind in Central America. It is located in the main building with direct access to restaurants, conference room, and the mezzanine. 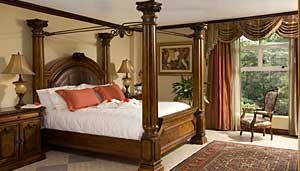 The suite has three king-size beds.